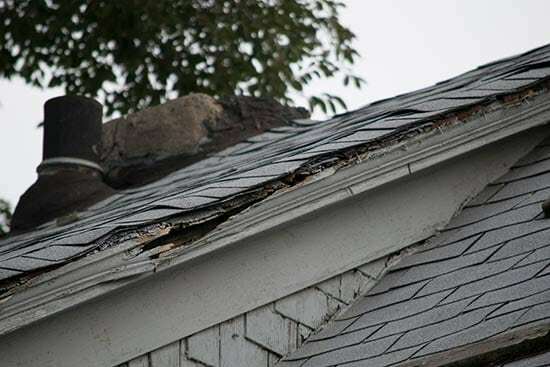 How Long-Term Neglect Can Lead to Serious Roof Damage – New Jersey Siding & Windows, Inc. The area surrounding roof leaks is a common location for the development of mold and mildew, because it offers the moisture required for these organisms to grow, as well as organic matter – typically wood – upon which the organisms can feed. These infestations can then cause allergic reactions and, if left unaddressed, further roof damage. As water leaks into your home through the damaged portion of your roof, it tends to collect and create residue that can discolor your home’s structural components. While this discoloration doesn’t necessarily pose a serious threat, it’s an indicator that more significant issues may arise in the future. It’ll also take a toll on your home’s value. Water that’s allowed to enter your home as a result of roof damage runs the risk of coming into contact with and degrading electrical wires. Aside from causing circuits to short out, this could eventually be a fire hazard. Of the many adverse effects of roof damage, structural rot is arguably the most disastrous. When key components of your home’s structure are exposed to water for months or even years on end, they weaken significantly, which can create extremely unsafe conditions. And aside from causing wood to rot, exposure to water can also result in serious damage to drywall. Ignoring roof damage poses a serious threat to the value of your home and the safety of your family. Protect your home from the ever-changing northeastern weather by contacting New Jersey Siding & Windows today. We’re proud to serve communities throughout Northern and Central NJ, including Parsippany-Troy Hills, Randolph, Morristown and more.